What Are Hash Time-Locked Contracts and How Do They Work? Cryptocurrencies were created to make it possible for advanced, encrypted payments to be made between two or more people digitally, without the parties involved having to trust each other for the payment be completed. In other words, cryptocurrencies make it possible to send money reliably to other people over the internet without the money being double spent, and without people getting scammed out of their money when they try to make these digital payments. Hash time-locked contracts are a perfect example of a payment technology for cryptocurrencies which makes all of the aforementioned things possible. What is a Hash Time-Locked Contract? A hash time-locked contract is essentially a type of payment in which two people agree to a financial arrangement where one party will pay the other party a certain amount of cryptocurrency, such as Bitcoin or Ethereum. However, because these contracts are “time-locked,” the receiving party only has a certain amount of time to accept the payment, otherwise the money is returned to the sender. How Do Hash Time-Locked Contracts Work? The way that hash time-locked contracts work is that the person who will be making the payment sets up a specific hash, which represents the amount of money that will be paid. To receive the payment, the recipient will have to create a cryptographic proof of payment, and he or she will have to do this within the specified amount of time. The amount of time that the recipient has to accept the payment can vary significantly from one time-locked contract to the next. If the recipient meets the deadline, then the money will be theirs, if he or she fails to meet the deadline, it won’t. So, there is a often a lot at stake when it comes to meeting deadlines from hash time-locked contracts, when cryptocurrencies are being exchanged. There are many benefits to these types of contracts. First, because they are time sensitive, it prevents the person who is making the payment from having to wait indefinitely to find out whether or not his or her payment goes through. Second, the person who makes the payment will not have to waste his or her money if the payment is not accepted. It will simply be returned. Third, because cryptographic proof of payment is required for the recipient to accept the payment, the recipient actually helps to validate the payment on the blockchain. Fourth, because hashes are created for hash time-lock contracts, they can be easily added to blockchains. Fifth, because of the structure of these contracts, the people sending and receiving the payments do not have to trust each other or even know each other to make sure that the contract will be executed properly. In other words, each party is protected from counter-party risk. Hash time-locked contracts have a number of major implications. One of these implications is that they could be extremely useful for cross-chain trading using atomic swaps. This would allow people to exchange one cryptocurrency for another within a certain time period even when the two different cryptocurrencies are on two different blockchains. For example, with time-locked contracts, a person who wants to exchange 25 Litecoins for Bitcoins within ten minutes could do this. These types of contracts could dramatically improve the ability of investors and traders to make rapid cryptocurrency trades, and respond very quickly to market news to help generate profits. 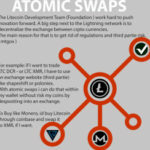 The first atomic swap was completed in 2017, and with hash time-locked contracts, this atomic swap could spawn an entirely new cryptocurrency trading ecosystem. Hash time-locked contracts could also be extremely useful when it comes to businesses making contractual offers to one another on a time-sensitive basis. For example, imagine that one business needs to get a job done and has many contractors to choose from. This business could create a hash time-locked contract offer to a contractor and give the contractor two hours to decide whether or not it will take the job. If the contractor accepts within the two-hour time frame, then the job could be awarded and the money would be transferred. However, if not, then the money could be given back to the original company who could then offer it to another contractor with a new hash time-locked contract. Hash time-locked contracts can help to eliminate the need for third parties in contracts between two parties. Third parties that are often involved in contracts are lawyers, banks, etc. Lawyers are often required to draw up contracts, and banks are often required to help store money and then transfer it to the receiving party in the contract. With hash time-locked contracts, two parties could hypothetically set up contracts and transfer money without the need for third parties. This is because the sending party could create the conditional payment, and then the receiving party could agree to it, receive it, and help validate the transaction in the process. This could potentially revolutionize the way that many businesses interact with one another and dramatically speed up the time that it takes for business deals to be set up. Just imagine business representatives going to conferences, meeting potential partners, and setting up business deals through hash time-locked contracts within hours. This could become a very common event sooner than many people expect. The reason is because businesses are often interested in anything that can speed up processes or trim costs. Hash time-locked contracts could potentially do both. If the technology is perfected, then hash time-locked contracts could also become a feature of the fabled “lightning network.” The lightning network is a proposed scaling solution for Bitcoin and other cryptocurrencies which would speed up transaction times dramatically while preserving the integrity of the blockchain. It is possible that the lightning network could go live at some point in 2018. If it does, then hash time-locked contracts could be included in its architecture. 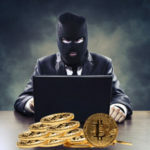 This is because these types of contracts are highly appealing to many people who are involved in the world of cryptocurrencies. Hash time-locked contracts and other types of cryptocurrency payments are helping to create a brand new payment environment on the internet. These payment methods are helping to eliminate friction and transactional risks for payments that can hypothetically be made anywhere on earth, as long as there is internet access. Because hash time-locked contract payments are made with cryptocurrencies, they also help to eliminate the issues of using foreign currencies. This could make it much easier for companies to conduct business with other companies in many different nations. It can also hypothetically make it easier to accept payments from customers located in faraway places. The cryptocurrency phenomenon, including hash-time locked contracts is really just in its infancy. It is possible that both cryptocurrencies and special payment systems such as time-locked contracts could be used more and more as time goes on. If both atomic swaps and the lightning network catch on, then it is possible that many more cryptocurrencies outside of just the top five or ten could also be used for hash time-locked contracts. Although there is enormous potential for hash time-locked contracts, there are also a number of distinct challenges for them as well. Perhaps the greatest challenge that hash time-locked contracts face is that both businesses and individuals are simply not used to using this payment structure. This means that there will most likely be a time period in which people have to adapt to cryptocurrencies and hash time-locked contracts. It has been almost ten years since Satoshi Nakamoto first introduced the world to cryptocurrencies. Since that period, millions of people around the world have taken to cryptocurrencies and have gotten used to them. However, the vast majority of the global population has not. This means that it will likely take a number of years until a significant portion of the global population has full trust in both cryptocurrencies and consequently, hash time-locked contracts. However, the market cap of cryptocurrencies seems to rise almost every year. So, adoption rates may be faster than many people anticipate. Another key challenge that hash time-locked contracts could face is regulation. It is possible that governments may view major contracts conducted without banks or lawyers as a potential threat to the economy. As a result, it is possible that they could increase scrutiny and regulations for hash time-locked contracts. This could potentially slow down adoption rates and create complications for these special contracts. A final challenge that hash time-locked contracts could face is scaling complexity. As more and more people get into cryptocurrencies and want to use hash time-locked contracts, the hash time and fees associated with completing these contracts could be problematic. Hopefully, scaling solutions like the lightning network will be able to solve such scaling issues. However, it is yet to be seen if the lightning network will be up to the task, as it has not been implemented yet, at the time of this writing (1/3/18). Hash time-locked contracts are an exciting payment development that can potentially help individuals and businesses alike. By reducing friction and simplifying contracts, hash time-locked contracts could attract many people. Hypothetically, anyone who needs to set up a contract, or who would like to arrange a conditional payment with a stranger without requiring trust could benefit from hash time-locked contracts. Hash time-locked contracts provide benefits to the person who sets up the contract, and to the person who receives the money from the contract. They do not disturb blockchains, and they allow for seamless cryptocurrency payments within distinct time frames. It is possible that the convenience and usefulness of hash time-locked contracts could help to make cryptocurrencies even more popular than they have become to date. However, Bitcoin is steadily growing into a global phenomenon, so it looks like cryptocurrencies do not need much assistance in terms of winning over increasing numbers of supporters and users. At any rate, hash time-locked contracts are a very interesting financial development, and there is a very good chance that they will continue to be used more and more as time goes on. There are many different types of businesses who can benefit from this important and creative technological and financial development.